It's right back to action tonight for the Bulldogs (10-7-1-2, 3rd Island) as they host the Chilliwack Chiefs (12-5-0-1, 2nd Mainland) on a night where both teams will be no doubt raring to go as they are coming off of tough losses the night before. The Dogs lost 5-2 to the Clippers in Nanaimo, their second straight defeat, while the Chiefs opened up a three game weekend road trip with a 6-1 loss to the Kings in Powell River. These teams last met in a wildly entertaining game in Chilliwack as the Dogs picked up a 4-2 win on October 25th handing the Chiefs their first, and to date their only, loss on home ice. 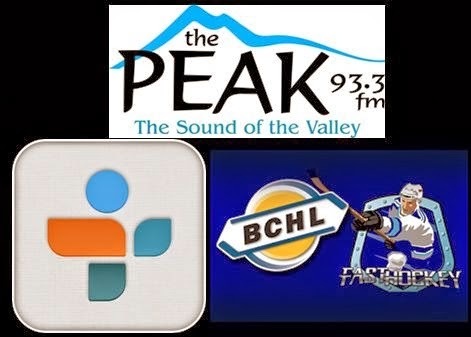 All the action as always can be heard on Van Isle Ford Bulldogs Hockey on 93.3 The Peak FM starting with the Pregame show at 6:45 tonight with the play-by-play, colour commentary/analysis and team and player stats at 7:00 courtesy of myself, Bruce MacDonald and Dan Tisserand. We won't have a feature guest tonight , as there's much bigger fish to fry... The Peak's David Wiwchar will step in during the 2nd Intermission to provide a full update on the Municpal Election. Don't forget to get out and vote today everyone!